During the process of impasto application, a lot of paint is dragged off and dumped on the desk. After weeks of paint being dumped it starts to look like sculpture. 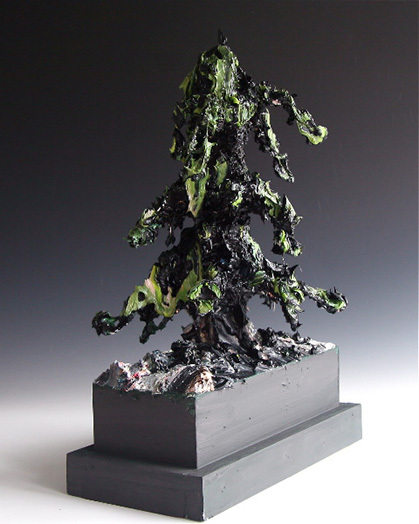 Build a base and armature, dump the paint there instead you got a sculpture.